Does a lot of stuff for free. This is my first year riding and the info was helpful. I will upgrade to premium next season. 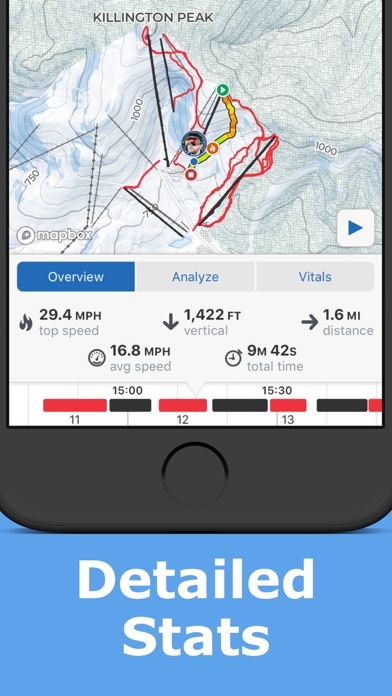 Great application which shows your tracks, top /average speed, stops, burnt calories and all the the things! Can’t get me enough slopes! I love love love this app. So cool to be able to relive my epic ski days. And then send it all to Strava! This app is better than my best expectations. Thanks for fixing the Strava sync issue!! On my third year [edit: Just finished the fourth! ]using Slopes now. I occasionally give another app a shot for a day, but none of the others feel like they’re made with the same love and care for user experience. The family pass is almost absurdly reasonable in price and is a great addition. All four of us love comparing top speeds at the end of a day. Premium version is pricey, but I otherwise love this app. I must first confess that I am a bit of ski nut. I have a demanding job and I travel a lot, so I don’t get to spend as much time as I would like on the slopes. But on the other hand, my travels allow me to experience different countries and snow conditions and I am always trying to squeeze in a day or two of skiing wherever I go. 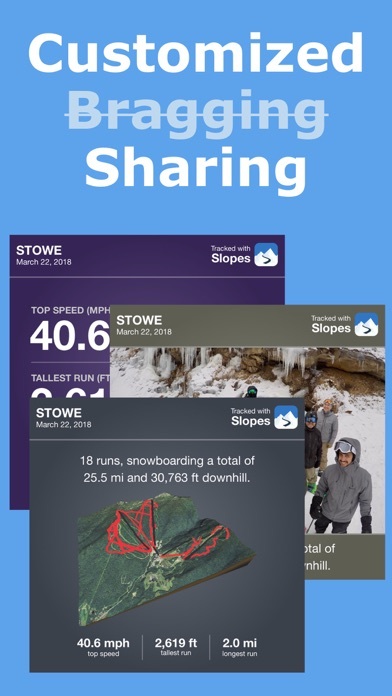 Slopes allows me to keep an exact track of the number of my sky days, and makes it easy to remember details about your day as it automatically uploads the pictures you took while out skiing, if you so desire. 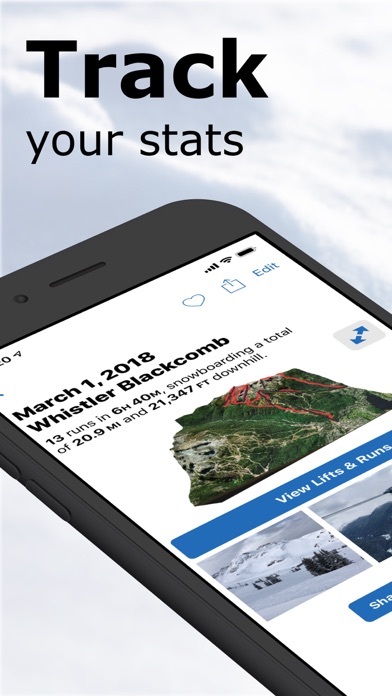 It also lists all the resorts you were in and shows you every run and lift you took, together with your verticals, max speed, and a bunch of data we skiers like to brag about. 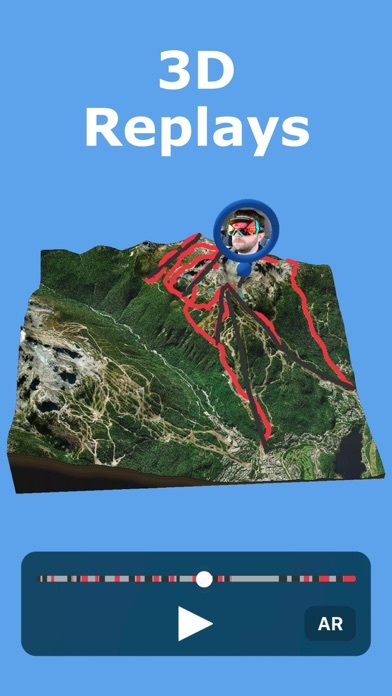 But the coolest feature and the conversation piece while enjoying après-ski is the ability to look at your day on a 3D model of the mountain you skied, and to “drop” it as an augmented reality piece on a table top, for all your friends to see through your phone screen as they walk around the table and see different angles of the AR mountain and your runs. It’s genius! It works beautifully with my Apple Watch 4. 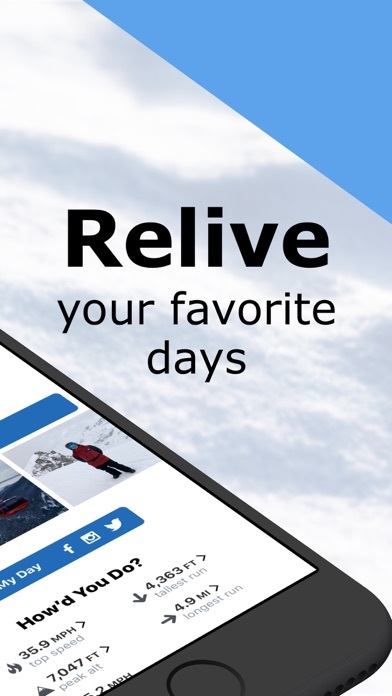 You start the app at the beginning of the day and you don’t need to worry about it until you stop skiing. Of course you can easily pause it while having lunch so you keep you recording “pure”. Finally, while the app runs all day while you are out on the slopes, it somehow does not deplete your battery. The drag on your juice is barely noticeable, and it will definitively leave you enough power to finish your day, brag about your skiing and then some! 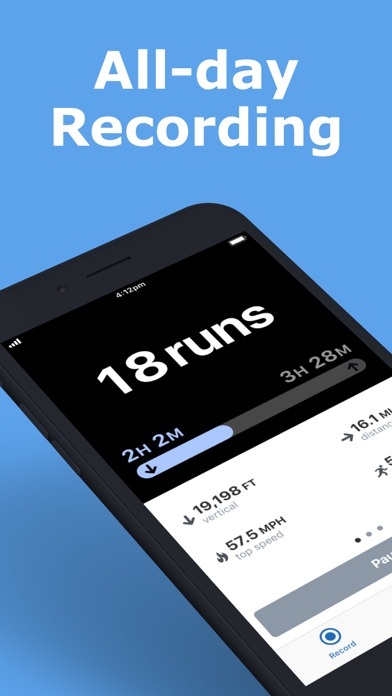 By the way, did I mention that it can automatically sync with Strava, so if you do other activities like running, swimming or cycling, your ski activity will sit nicely with your other training sessions. 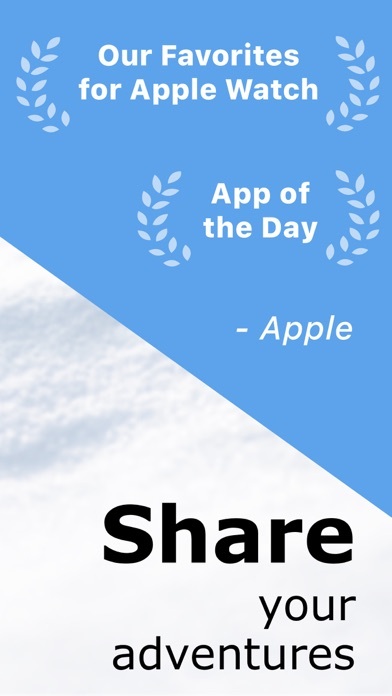 If I have a suggestion, it would be to add a measure of the steepest angle you skied during the day, as I have seen it on another ski app. 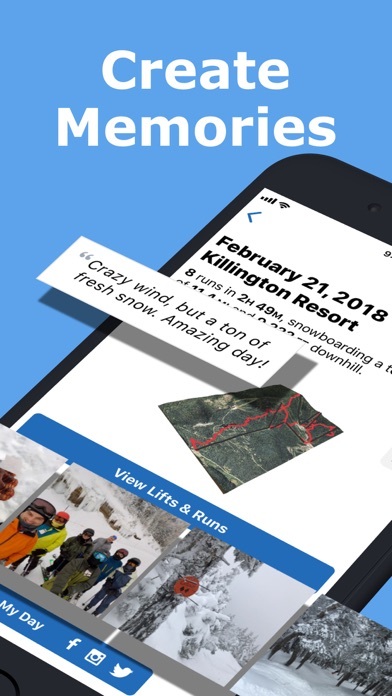 This app has made my ski seasons even more enjoyable. I love it!